The K'NEX User Group has produced Guides and Information Sheets on a range of different topics, and we also have permission to make available free of charge extracts from some downloadable documents that are the copyright of K'NEX. The items shown below are all free of charge. Click on any image below to view a larger picture, and use the "Download" button to download it. All the items are in .PDF format, so you will need Adobe Reader to read them. If you do not already have the reader installed on your computer, you can download it from www.adobe.com. Please email us if you have a problem downloading any document. Note also that, for recent K'NEX sets for the home, you can download the Instruction book and any web-based instructions by entering the five-digit building set code at www.knex.com/info/building-instructions. Ideal for finding that elusive missing part! Simply download the picture list (7Mb .PDF), use the list to find our product code, and then search for the part on this website. Need to show details of our 43 K'NEX sets to someone who doesn't have internet access? No problem - simply download our catalogue (1Mb .PDF) and then print the pages you need. Free 131-page Guide written by the K'NEX User Group to help users at home and in schools, clubs, family learning centres and other educational organisations to complete exciting K'NEX challenges. The Guide includes 101 KNEX challenges to suit ages 5 to adult, advice on using K'NEX at home and in school, and links to the Design & Technology and Science Curriculum. You can view some of the challenges from the guide in the Challenges section of this website. Downloads as a 4.7Mb .PDF file. Free 41-page Guide written by the K'NEX User Group to help maths teachers deliver exciting hands-on K'NEX maths activties to their pupils. 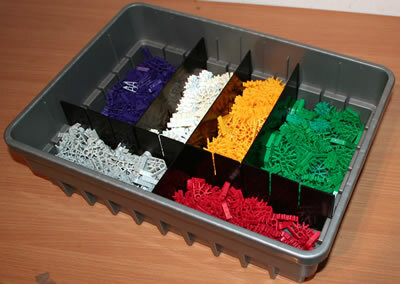 The guide includes 101 K'NEX maths activities in numeracy, shape, space, measure and handling data. You can view some activities from the guide in the Maths activities section of this website. Downloads as a 1.5Mb .PDF file. Free 21-page Guide to help organisations who are using K'NEX in family learning. Written by the K'NEX User Group, the Guide contains: An introduction to the use of K'NEX in Family Learning; Step-by-step instructions for delivering a simple K'NEX Family Learning event - the Mousetrap challenge; Design your own K'NEX event (objectives, style, cost, funding, venues, becoming familiar with K'NEX, choosing K'NEX challenges, procuring K'NEX, procedures and documentation, staff training, delivering your event, monitoring and evaluation). Photocopiable resources including: a Mousetrap poster, 11 challenge cards, a K'NEX Passport, a letter to attract sponsorship, and reviews of three K'NEX sets suitable for family learning. Free 20-page Guide to help organisations who are using K'NEX in children's clubs and childcare schemes. Written by the K'NEX User Group, the Guide contains: An introduction to the use of K'NEX in children's clubs and childcare schemes; Step-by-step instructions for delivering a simple K'NEX event - the Baby Buggy challenge; Design your own K'NEX event (objectives, style, cost, funding, venues, becoming familiar with K'NEX, choosing K'NEX challenges, procuring K'NEX, procedures and documentation, staff training, delivering your event, monitoring and evaluation). Photocopiable resources including: a Baby Buggy poster, 11 challenge cards, a K'NEX Passport, a letter to attract sponsorship, and reviews of two K'NEX sets suitable for clubs and childcare schemes. Free 19-page Guide to help Primary schools to use K'NEX effectively. Written by the K'NEX User Group, the Guide contains suggestions for using Kid K'NEX in Early Years, and K'NEX at KS1 and KS2 in DT, Science, Maths, IT and History. Also lots of ideas for using K'NEX for children with Special Educational Needs; for gifted and talented children; in school clubs; and in family learning. Photocopiable resources include: Handy Hints; 6 Instruction Cards; and 6 K'NEX challenges. Free 19-page Guide to help parents and other Home Educators to use K'NEX to extend children's education at home. Written by the K'NEX User Group, the Guide contains lots of ideas for using Kid K'NEX with 3-5 year olds, and K'NEX with children aged 5-14. Sections of the Guide include Early Years, Design and Technology, Science, Maths, IT, History, children with special educational needs, gifted and talented children, Handy Hints, 6 Instruction Cards, 6 K'NEX challenges. Free 19-page Guide to help Secondary schools to use K'NEX effectively. Written by the K'NEX User Group, the Guide contains suggestions for using K'NEX at KS3 and KS4 in DT, Science, and Maths. Also ideas for using K'NEX for pupils with Special Educational Needs; for gifted and talented pupils; in school clubs; and in family learning. Photocopiable resources include 10 K'NEX challenges. Free 20-page Guide to help all those working with children aged 3 to 7 to get maximum benefit from Kid K'NEX. Includes: What is Kid K'NEX? ; Kid K'NEX at home; Kid KNEX in nurseries and primary schools; Kid K'NEX in children's clubs and childcare schemes; Kid K'NEX in family learning; children with special educational needs; gifted and talented children. Photocopiable resources include 12 Kid K'NEX Instruction Cards. Free 20-page Guide to help organisations who are using K'NEX in post-16 and adult education and training. Includes: Why use K'NEX in post-16 and adult education and training? ; KNEX for structural engineering; KNEX for vocational skills; KNEX for adult numeracy; KNEX for innovation, problem-solving and team-building; KNEX for aptitude tests; Accredited learning with KNEX; Helping adults with learning difficulties. Photocopiable resources include 10 KNEX challenges. A Free Information Sheet on Building Bridges with K'NEX. Certificate for everyone participating in a K'NEX challenge. In Word format, so can be modified to suit your own requirements. Invitation to a K'NEX challenge. In Word format, so can be modified to suit your own requirements. A Free Information Sheet on Building Machines with K'NEX. 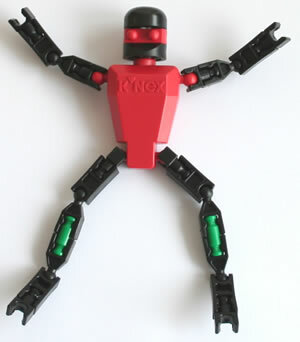 A Free Information Sheet on Building Simple Robots with K'NEX and Kid K'NEX. Outer pages of a typical K'NEX Passport, in folded A4 format. In Word format, so can be modified to suit your own requirements. Inner pages of a typical K'NEX Passport, in folded A4 format. In Word format, so can be modified to suit your own requirements. 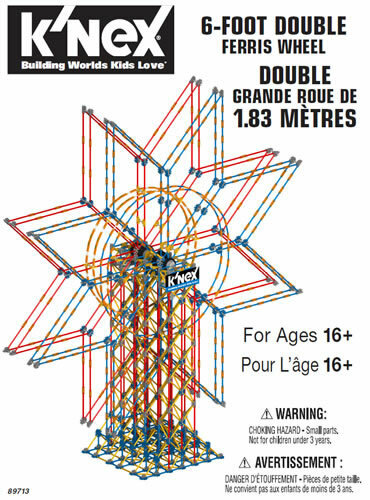 Poster to help advertise a K'NEX challenge. In Word format, so can be modified to suit your own requirements.